I’d heard about this place quite a lot before actually making it here to eat. 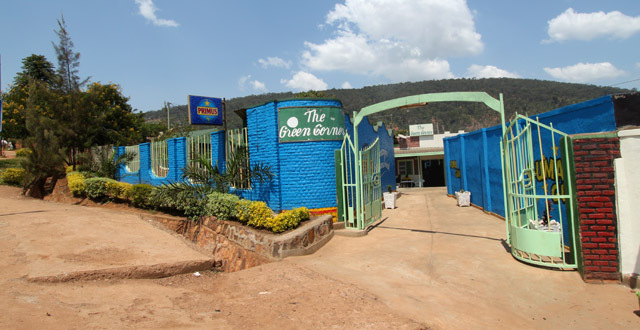 I even managed to come here on a pub crawl but as I was delivered here by a matatu we hired and had already consumed several Turbo Kings, I have no idea where the place was or how to ever find it again. One thing I remembered was that it seemed like we were driving for an eternity before we touched down. Another thing I remembered was the remarkable view over the city. 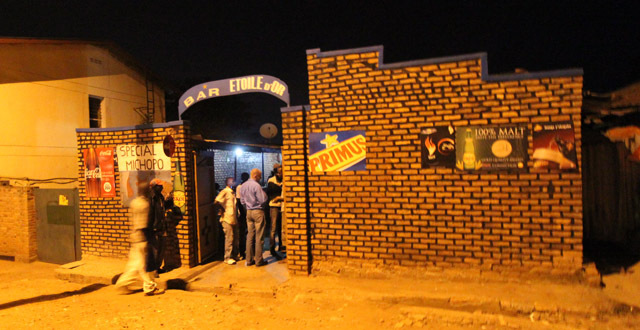 I live on the edge of Nyamirambo so mot drivers in my area are pretty good about knowing where bars in this area are. Luckily for me, my moto driver had a rough idea where it was and then asked people when he got closer. I think we took a roundabout way to get there, but I was just happy to see this place again and even happier to see that the view was as amazing as I sort of remembered it. I’ve heard that this place is run or owned or something by a Belgian woman, but who knows. It seems like a very local place complete with the plastic chairs, Primus tablecloths and toilets with no seats that you have to bucket flush. It’s nothing fancy but with such a nice view it doesn’t matter what the chairs look like, really. Plus… the food is good! People come here for the fish and it was packed on the Tuesday night I came here. There were two other large tables full of muungos, actually, which surprised me for some reason given that this place is so out of the way. 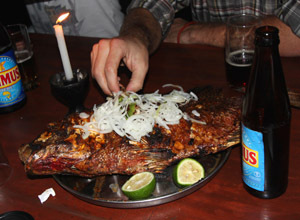 The fish costs Rwf 8,000 and it’s huge. It’s a giant fish that doesn’t fit on the plate, served with onions on top and lemons on the side. Then you just rip into it with your hands with a couple of your friends. One fish will do two very hungry people or three people if you order some sides. 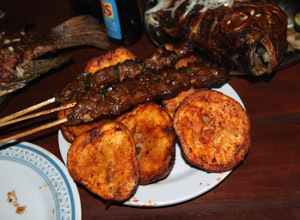 The ibiyari (potatoes) here are tasty and the brochettes are ok. They’re on the best I’ve had in Kigali, but no the worst either and at Rwf 500 they’re cheap. A large Primus is Rwf 700 and Mutzig and Turbo King are both Rwf 1,000 which is nice and affordable. Service is decent but the food takes awhile, as will most local bars. The two other big tables got their fish very quickly but they called ahead to order. Ours came out after about an hour and a half which was ok since we arrived early and didn’t mind waiting with some beers. Make sure you check your bill carefully before you pay. We had three large beers added onto our bill and a friend who comes here a lot says it’s an issue every time. Also double check the calculations to make sure they added things up correctly. Everyone I was with was raving about the fish and I agree to a point. I love the inside but I’m not too crazy about the skin. It has a sauce on it I don’t really like… but I guess that comes down to personal taste. But they did make it sort of spicy which was nice. But the other six people I was with were going nuts for it so I guess go with the majority! 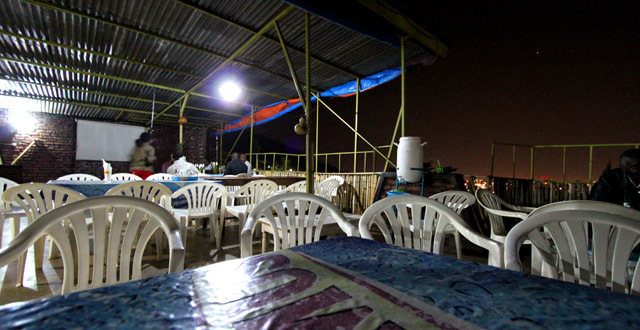 The food is good, the view is great, Nyamirambo is a fun spot if you want to go out after, and the beer is cheap. Can’t really go wrong! We went to 10 to 2 the other night for a friend’s leaving party, mostly because she really wanted their fish brochettes. They were out of fish (sad), so we ordered chickens and brochettes and chips for about 14 people. 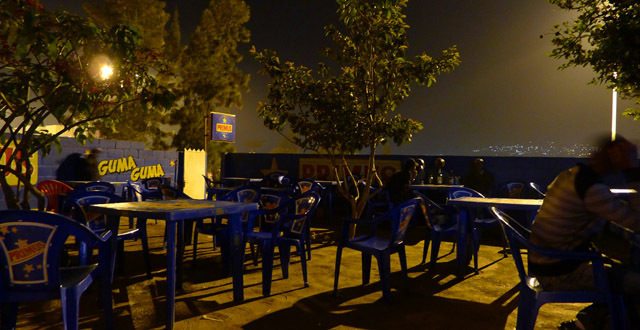 All of us have been in Kigali for a while, and knew that it would take probably 2 hours, given that they weren’t terribly busy, but it’s a lot of food. 3 hours later, there was still no food. It ended up taking almost 3.5 hours to get our order, and that was with a lot of pestering and cajoling. The food was really delicious. When they brought us the bill (and it was almost midnight by this time), they wildly overcharged us, to the point of just literally making up charges (twice as many brochettes, and charging 200 more for each than they should have, etc.). It took another half an hour to sort out the bill and pay. They have great food and a great view, but it’s not worth the hassle when there are other great local places around town that won’t try to cheat customers. I can tell you 14 people who won’t be returning to 10 to 2. Sadly this is quite common at local bars. You always have to be wary of the bill. Don’t just check the prices, check their addition as well, otherwise what should have added up to 20,000 could show up at 27,000 on the bill. Usually when you catch it and call out the staff you either get an insincere apology or they get nasty with you. Whenever we go to 10 to 2 with a group we call in an hour ahead of time and order. They’re usually pretty good about having the food ready around the time we tell them we’re showing up. You might try that next time you’re going out with a large group of people. But most of all, CHECK, CHECK, CHECK YOUR BILLS PEOPLE!!!! Would it be possible to get the number from the restaurant? I’ve heard so much about this place and really want to go, but I don’t think I want to face the hours of waiting and I can’t seem to find the number anywhere.